This image, entitled “Healing Hands,” was taken during an occupational therapy session in 2015. Linda Lackey, a stroke survivor, and Melissa Tober, occupational therapist, are captured in an intimate moment as Melissa attempts to stretch Linda’s hand. Linda suffered a stroke in 2012 followed by many medical complications. The image, taken by Linda’s husband David Lackey, is the inspiration behind the Healing Hands Clinic. Patients and families seek rehabilitation after a serious illness or injury has altered their lives, looking for hope and renewal. As a spousal caregiver, I experienced and observed the misery of my wife, Linda, living with a serious disability. I also witnessed her transformation from a patient to a survivor with a purpose and an overwhelming joy for life. The moment I captured the image of her hand entwined with the hands of her exceptional and passionate occupational therapist Melissa, I knew that Linda’s spirit and mind were bonded with Melissa’s as one, with a determination to heal the whole person. It was clear that Linda knew that her life had changed. The moment the shutter was released and the photons of light settled on the film emulsion, I knew I had witnessed a beautiful moment in life. The image would forever have a story to tell about the loving care and healing power of physical, emotional, and spiritual bonding between a patient and her therapist. This video features Melissa Tober, OT, talking with Linda and Dave Lackey about their recovery after Linda’s stroke. Our lives began independently of each other, separated by hundreds of miles and two decades. It was not until 1970, with a single red rose in hand, that we met for the first time alone, poised on the first steps of the entryway to building a life together. It has now been 45 years since Linda accepted my proposal of marriage. Surely, the nameless has blessed the named with the light of abiding love. There cannot be light without darkness in this physical world. Nor can there be life without difficulties. In 2005, we discovered that Linda’s congenital irregular heartbeat was atrial fibrillation. It was accompanied by severe heart conditions, and she was fitted with a pacemaker. In 2010, she suffered multiple heart arrests, a mild heart attack, and a TIA requiring dozens of hospital stays. She eventually retired early from her long career in finance with a local government. Her life was altered radically when a wheelchair was required for daily use. Multiple medical conditions made her life miserable, and I became her sole caregiver. In 2012, at dawn on Thanksgiving morning, she suffered a major stroke. The sequelae from the stroke were far-reaching and she spent months learning to sit up in bed and, finally, to stand. Numerous facilities treated her with hundreds of hours of therapy, but she suffered many setbacks from allergic reactions to benzodiazepines and heart medications. In 2014, she suffered a subdural hematoma. Another hospital stay and recovery period ensued, taking a huge toll on her health and on my ability to continue caregiving. After four years of “round the clock” misery, we had both lost faith, given up hope, and could find no love anywhere outside of our enduring love for each other. Nights were the worst, filled with demons and nightmares. The light of day only meant a return to endless work simply trying to “not die,” as everyday was an hour-to-hour journey with no thought for the future. Linda began therapy with Melissa in July, 2015. She was evaluated and started an amazing recovery that has brought her out of the depths of misery and suffering, transforming her life into a journey, always moving forward. As a photographer, I have always carried my bag with at least one camera in it, although I ceased shooting except for those rare instances that required me to document her suffering or for occasional moments that I felt were significant. But documenting a life of darkness was too much for me because the light had gone from the love of my life. Finally, in August, 2015, we celebrated Linda’s 1000th day of stroke survival and recovery. I was inspired to become a photographer again and wanted to honor Linda’s life with a story and images of her struggles. Shooting her therapies was educational for me as a caregiver, but the more frames I shot, the more I realized I had not captured the beauty of her endeavor. As an artist, I know deep inside that beauty is everywhere. I have always been in search of beauty. But how was I going to express the beauty of life-changing therapy with a photograph? This question haunted me. I kept shooting in the drab clinic anyway. Then one day, with the glorious light of a southerly-facing window in the therapy room, I saw Melissa working on Linda’s left arm and hand with the professional yet personal touch that comes with intimate bonding of spirits in pursuit of excellence of a common goal. I saw both patient and therapist, positioned on the mat, trying every possible angle to address the spasticity in Linda’s hand and isolate the thumb for an exercise. I saw hands healing the brokenness of the body, mind, and spirit! I witnessed a beautiful moment and captured it on film for all to see. I called the image “Healing Hands”. Healing hands have shattered the myth that long-term gains in recovery are improbable. For that reason, Linda and I have donated a canvas of the Healing Hands image to Melissa as both a symbol of our abiding appreciation for her loving care and our gratitude for her professionalism in therapeutic care. 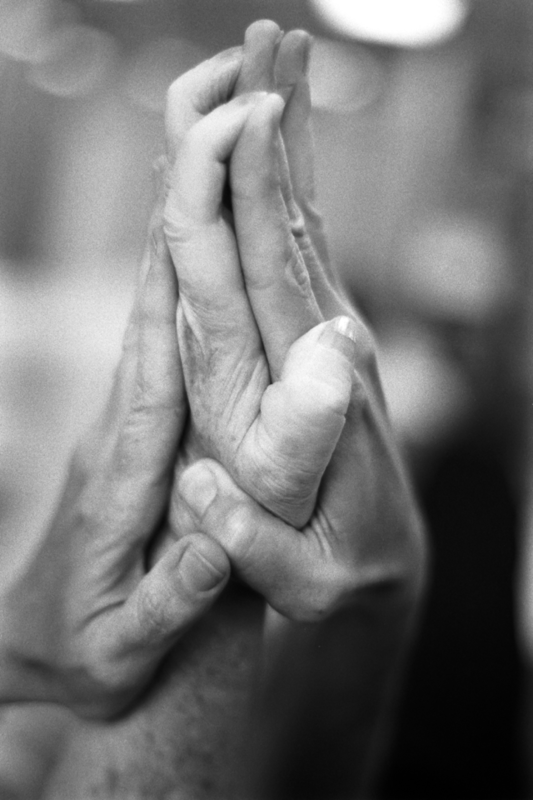 In my community of peers, I found a deep sense of charity from dozens of photographers wanting to share images of hands with patients. They have since donated over a hundred artistic expressions of hand art to Melissa for her clinic. Those photographers, my colleagues, want to help others see beauty in life in ordinary things. They want patients to value the beauty of hands and the healing power of therapy and art. This video features Melissa Tober, OT, talking with Linda and Dave Lackey about the Healing Hands Clinic. Colleagues of Dave have donated dozens of pictures from around the world to the clinic to inspire patients’ recovery. We desire to see healthcare look toward the beauty of the “whole-person” approach, because a patient is more than an individual. Protocols are by nature impersonal and structured, excluding the specials needs and desires of individual patients. Finding beauty in life can be as individual as enjoying art, or it can be as inclusive as fulfilling needs for family interaction. From my observations, I believe the ultimate goal is to transform the life of the patient by re-integrating them into daily living. 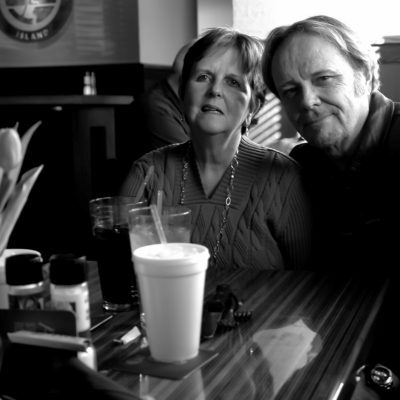 But Linda is not the only patient–the caregiver, family, and loved ones are patients as well. Integrating all life participants with Linda’s needs and aspirations is my personal goal as her husband, love, friend, and caregiver. Finding beauty in art through these life experiences in a world of darkness has given us hope and faith. We now look forward to a future of discovery, wonder, and sharing with others that there is hope. This video is about the loving process of Linda Lackey’s recovery after a stroke through the love of her family and therapist. The Healing Hands Clinic is an outpatient hand therapy clinic run by Melissa Tober located at Emory Rehabilitation Hospital, Emory University Healthcare, Atlanta, Georgia. Special thanks to Emma Goldberg, DPT/MPH for video editing and article layout. Linda celebrated her 45th Wedding Anniversary in 2016 with her husband in their favorite mountain retreat in the Great Smoky Mountain National Park where they were married in 1971. She is a loving mother, with two children who have families of their own, and she is a grandmother with four grandchildren. She worked more than 25 years in the Finance Department with a local government until 2011 when she retired early due to medical reasons. In 2012, she suffered a major cardio vascular accident (stroke) and spent two years in various healthcare facilities undergoing therapy, which enabled her to eventually begin walking after several periods of time in a wheelchair. Today, Linda is continuing therapy at home with an emphasis on incorporating what she has learned and she continues to improve and live her life as “Linda,” a wife, a mother, and a grandmother, rather than solely as a patient. She is now working with her husband creating a new venture, “Studio INSPIRE!”, to share her experience and vision of hope and inspiration by providing others with digital portraits of their own healing. 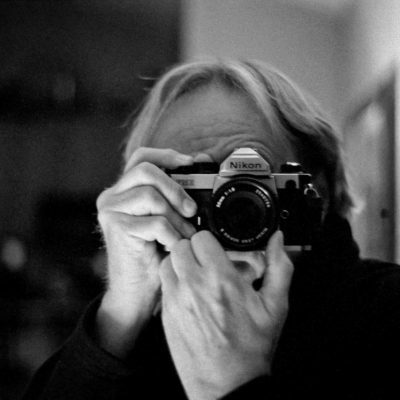 David is a published photographer and author in the Atlanta area. He has been happily married to Linda for more than 45 years and is a husband, father, and grandfather. In 1967, he began his academic career in Architectural Engineering, Civil Engineering, City and Regional Planning and, eventually, teaching as an adjunct in the School of Architecture at the Georgia Institute of Technology. His technical career in land development evolved into the more creative endeavor of designing neo-traditional towns and cities where his work involved documentaries and architectural presentations. Along the way, story-telling, through photography and writing, became his passion as he saw his family growing and experiencing life in a similar manner as he experienced as a child. His life as a photographer became a labor of love. Currently, with Linda’s improvements in her physical and cognitive condition, and with her encouragement, David is moving forward in establishing himself in commercial photography. His emphasis is on portraiture, story-telling, and, especially, Fine Art in Healing. Melissa is an occupational therapist and certified hand therapist who is a graduate of the University of Florida. She has been working at Emory Rehabilitation Hospital in Atlanta, Georgia for the last 16 years. During this time, she has worked with a multitude of neurologic and orthopedic injuries including stroke, brain injury, amyotrophic lateral sclerosis (ALS), multiple sclerosis, spinal cord injury and upper extremity amputations among others. She has been a member of the ALS team at Emory, was a treating clinician with the ICARE stroke clinical trial, and took part in Emory’s first hand transplant. 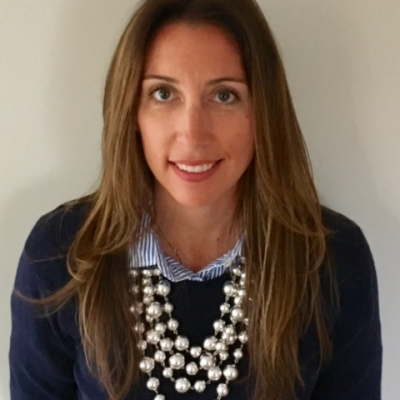 She is a member of the Georgia Hand and Upper Extremity Interest Group and currently works as the outpatient hand therapist on Emory’s main campus. Outside of work, Melissa is happily married with one daughter and a golden retriever. She is a member of her daughter’s Home and School Association and she has a passion for yoga, travel and anything creative. Throughout her life and career, Melissa has learned the importance of connecting the mind and body in order for one to truly heal. She believes that therapeutic intervention should not just be following a specific protocol, it should be personalized. Incorporating compassion, empathy, touch, mindfulness and breath along with physical intervention have the opportunity to make a “broken” person feel whole again.